Astronauts are people who travel in space. 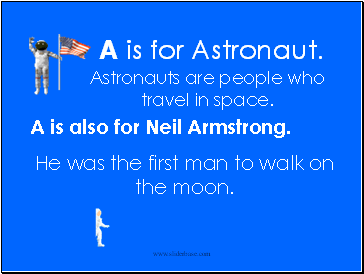 A is also for Neil Armstrong. He was the first man to walk on the moon. When you see this letter on a plane, you know it is a bomber. 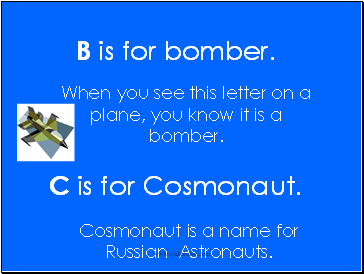 Cosmonaut is a name for Russian Astronauts. D is for duck . 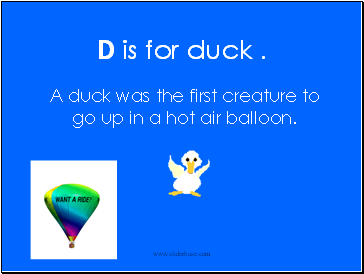 A duck was the first creature to go up in a hot air balloon. 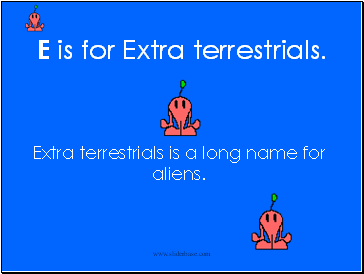 E is for Extra terrestrials. Extra terrestrials is a long name for aliens. 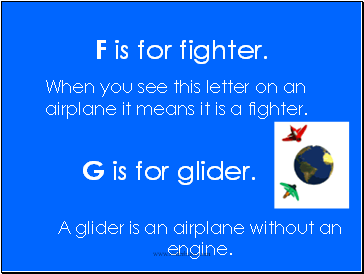 When you see this letter on an airplane it means it is a fighter. A glider is an airplane without an engine. A helicopter has propellers. 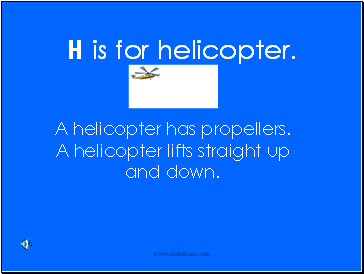 A helicopter lifts straight up and down. 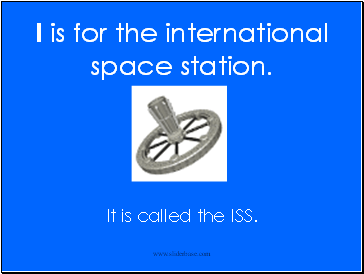 I is for the international space station. It is called the ISS. 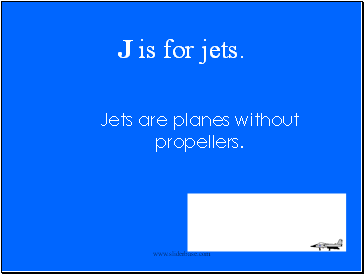 Jets are planes without propellers. K is for Kitty Hawk. 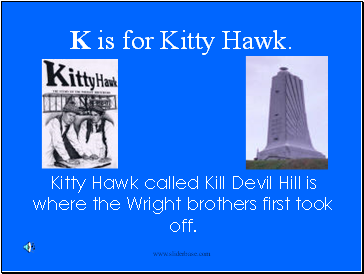 Kitty Hawk called Kill Devil Hill is where the Wright brothers first took off. 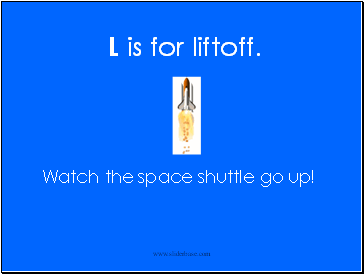 Watch the space shuttle go up! 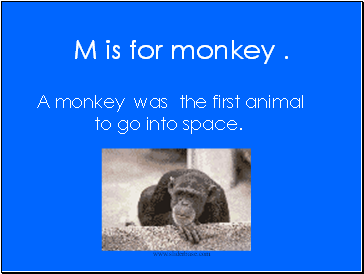 M is for monkey . 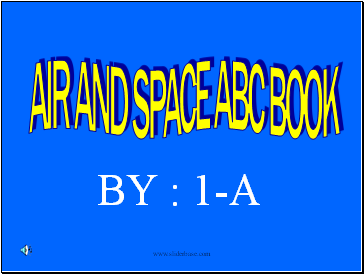 A monkey was the first animal to go into space. 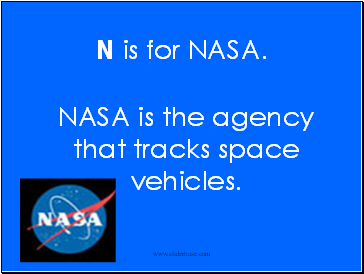 NASA is the agency that tracks space vehicles. 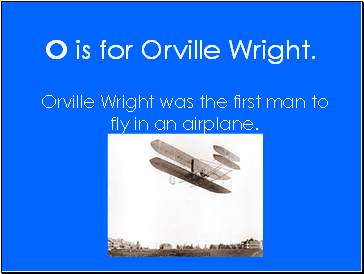 O is for Orville Wright. 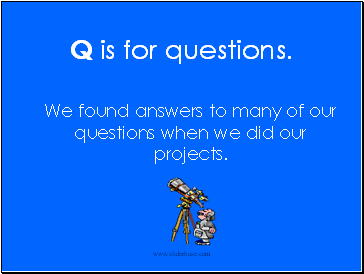 Orville Wright was the first man to fly in an airplane. 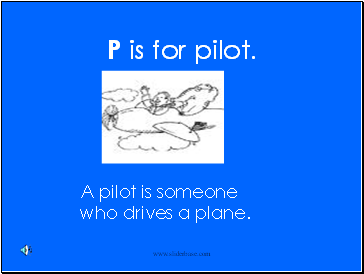 A pilot is someone who drives a plane.